I just bought raspberry pi 3 with Rapbian Jessi with Pixel and I have a Lenovo laptop with Ubuntu 14.04 64 bit on it. I failed to make this work, although I can connect smoothly using SSH. Any ideas how can I make it work as it looks it should be a straight forward thing. Please note that It worked with me while encryption was off, as it made some problems mentioned in other posts. I will try to see if it will work with encrypted on or no. 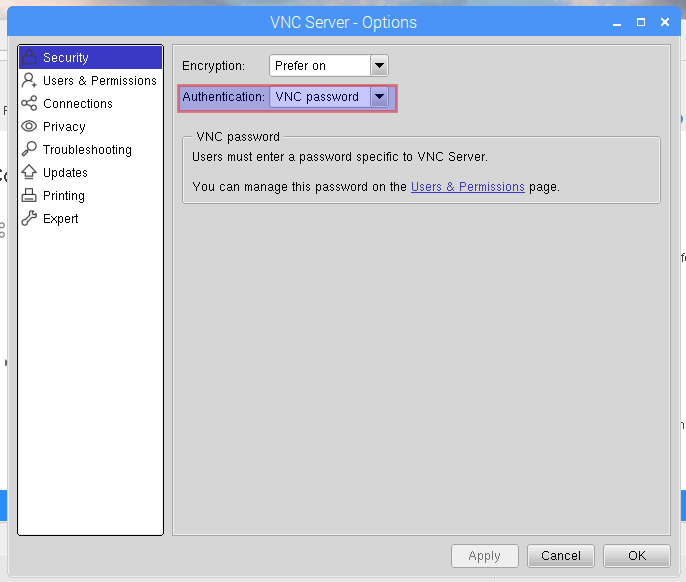 The simplest solution is to install RealVNC Viewer. You can download it from here, and it is available for Linux, MacOS and Windows. 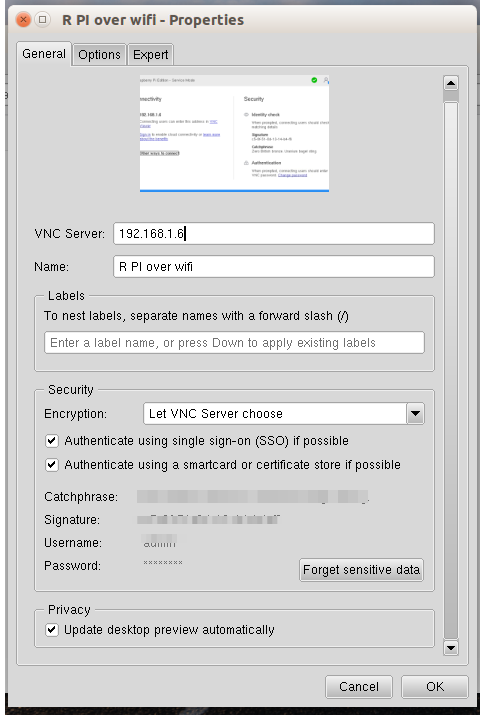 The issue is with the encryption schemes used by different VNC servers. all what you need is to download the binary file (or GZ file and un-compress it and then make the file executable and so you can run it. I read tons of posts about this issue... and they all resulted in connection from my Mac via Remoter to a black screen on the Raspberry Pi. Not the answer you're looking for? 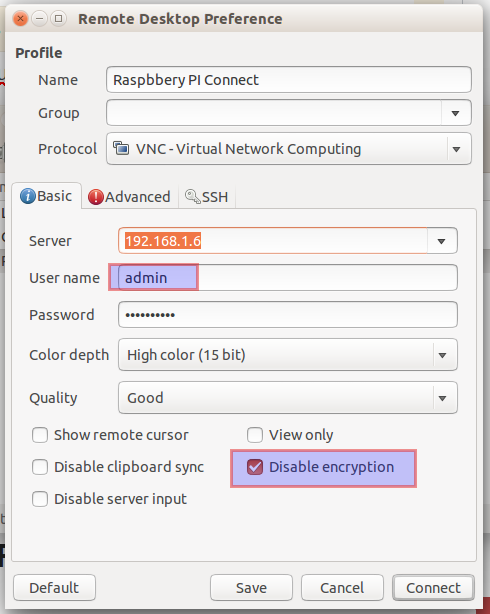 Browse other questions tagged pi-3 remote vnc ubuntu headless or ask your own question.